Construction works on the early 20th century Matryoska house have started with the removal of the entire delapidated rear facade. Completion of the project is scheduled for spring 2016. 10.15 Museum Square Limburg officially open! Museumplein Limburg has officially been opened! 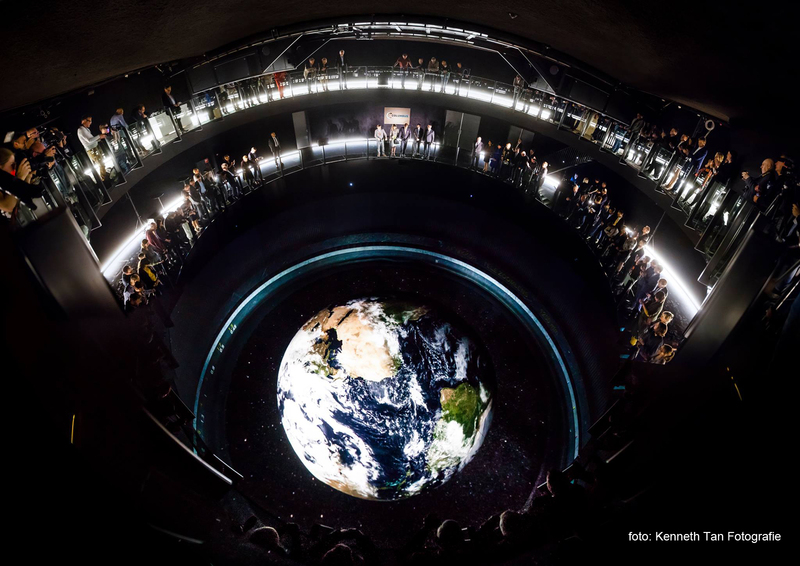 After a three day celebration for special guests, the museum has opened its doors to the general public on Sunday October the 25th, just one year and one month after the start of the construction. 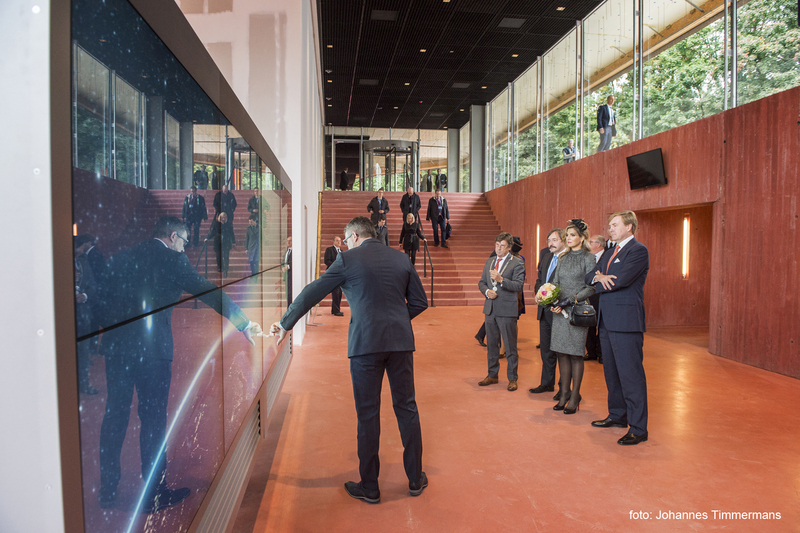 In anticipation of the public opening, His Royal Majesty King Willem-Alexander and Her Royal Majesty Queen Máxima have officially inaugurated our project Museum square Limburg! 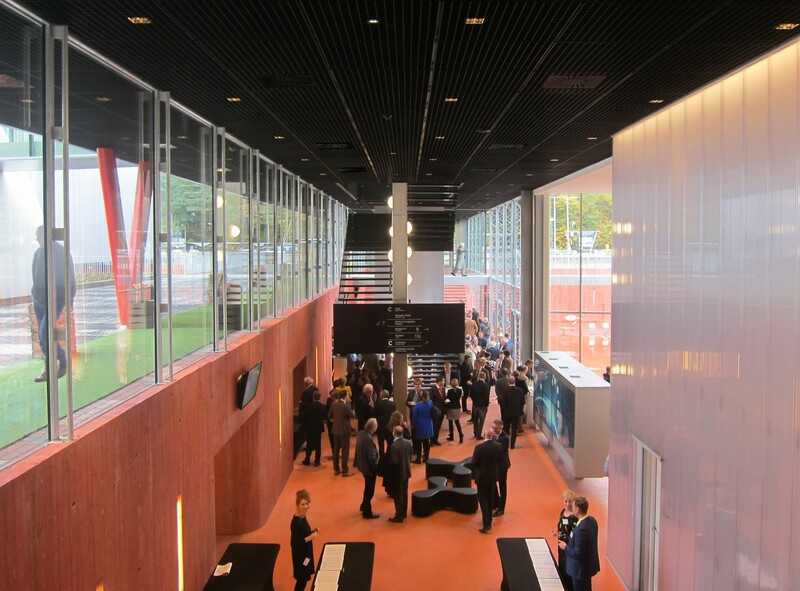 On September 26th, architect Bernard Tschumi visits the Tschumi pavilion in Groningen, 25 years after its completion. Following up on the recent intervention ‘CMYpavilion’, Thijs van Bijsterveldt is invited to discuss the future of the glass construction with its original architect. 08.15 Museum Square Limburg nearing completion! With only 2 months to go, everything is put into work to finish the construction of the Museum Square in time for the opening in October! Oana Rades is invited to be a member of the Archprix NL 2015 jury, together with Peter Defesche (architecture), Steven Delva (landscape design), Boris Hocks (urban design) and Michelle Provoost (theory). Archiprix NL is a yearly competition that awards the best graduation projects in architecture, urban planning and landscape design of all Dutch accredited Masters. Two months after the lowest point, Museum square Limburg has already reached its highest point! The concrete structure of the cube is completely finished, and the steel structure of Columbus and Connector are taking shape. For recent updates check our facebook page or the construction site webcam. Shift in collaboration with project developer Synchroon have launched the XS Deluxe micro-apartments concept. XS Deluxe advocates the emancipation of the micro-apartment towards an urban dwelling typology in its own right. By analyzing historical examples and the demands of the contemporary urbanite, several building typologies are proposed that combine compact urban living with generous collective facilities. After almost six months of preparation and digging works, the construction site of Museum square Limburg has reached its lowest point! This special event was celebrated together with culture deputy Ger Koopmans from the Province of Limburg and local youth. Meanwhile, the contours of Cube and Columbus are becoming visible, and the first red concrete walls of the underground world are being poured as we speak. Shift is invited to lecture about their design of C-City at Bureau Europa on the 21st of January. The event will address the role of tourism for the sustainable development of the Euregio, featuring two future developments: C-City in Kerkrade and the Open Air Museum in Bokrijk. The lecture will start at 20.00, at Bureau Europa in Maastricht. Admission is free of charge.